WordPress is one of the most used website creation tools in the world. Consequently, it’s a ‘must’ that designers and developers know how to use this platform in the most effective and productive way and keep searching in ways to improve workflow and create better websites. The secret to building successful WordPress websites lies with starter themes. Find the best starter theme that suits your level of expertise, and you’ll soon be an expert in WordPress development, providing well coded, well designed and profitable website solutions to your clients. You will have more time for design and plus you’ll save time on repeat setup work for each project. 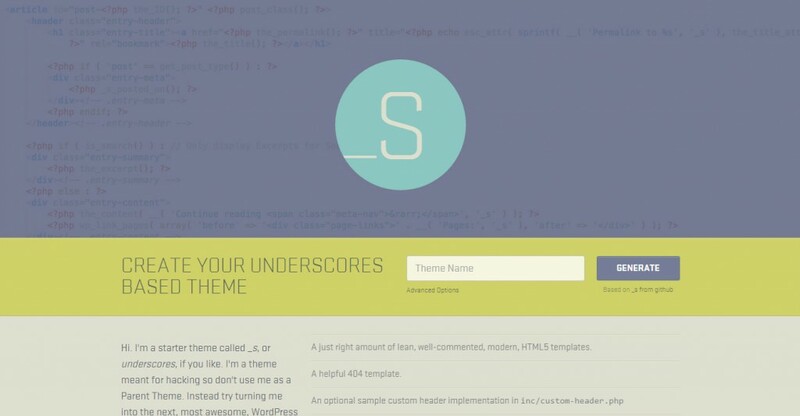 Underscores has won praise for being one of the simplest starter themes out there. It was created with the aim to ‘give developers a 1000 hour head start’. The people over at Automattic developed it, and it’s seen as a fantastic starting point for designers. Underscores gives people the ability to create their personal themes. 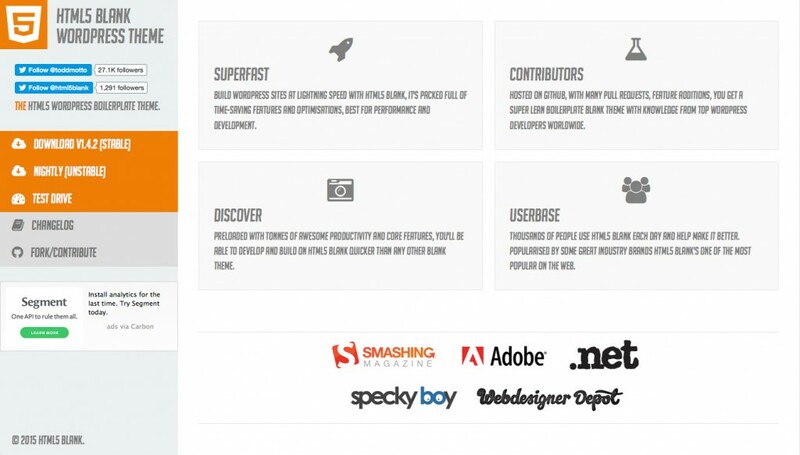 It includes the perfect amount of modern HTML5 templates to help you get started. There are also plenty of other custom templates that can be used for various design processes. When it first burst onto the scene, many people were shocked by it’s super minimal CSS. But, the developers use this as a positive rather than a negative. They claim it means there’s less things to get in your way. So, you’re left to design your themes without any fuss or bother. Underscores best feature is that it’s so easy to understand. The HTML/CSS is brilliant, and any designer can use it with ease. In turn, this can save you loads of time on your projects. This theme also supports custom headers, which is a huge bonus. 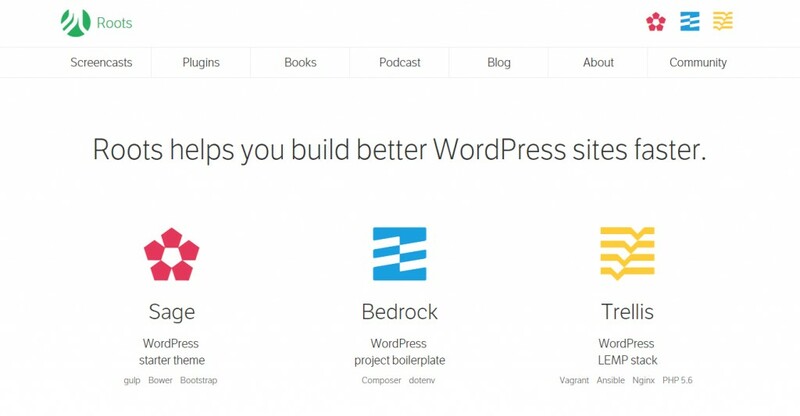 They’re easy to implement, and mean you can personalise your WordPress website even more. Another one of my favourite features is that it takes mobile devices into account. Designers can create drop-down menus for their sites on mobile devices. It’s a great touch and makes your website design more responsive. While Underscores was lightweight, Sage is packed full of way more stuff. The main aim of this theme is to give designers a choice between various things. With all the features it has, there’s no end to what you’re capable of creating. This theme started its life with a different name, Roots. So, if you hear fellow designers talking about roots, it’s possible they mean Sage. 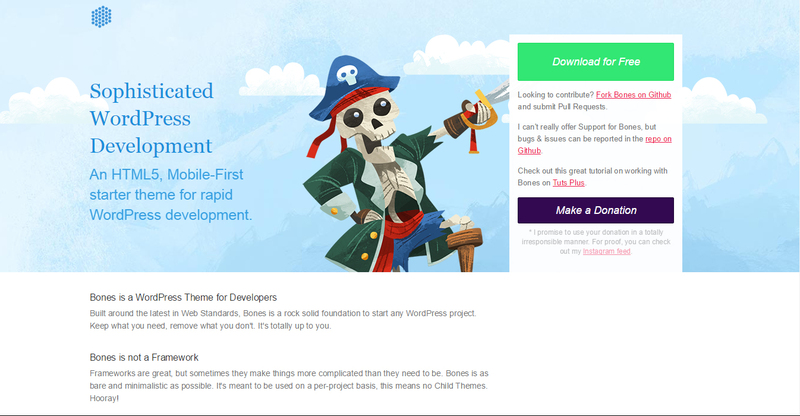 The developers say it’s a modern starter theme with a front-end development workflow. Another great feature is the theme wrapper. This keeps template pathing all in one file, instead of being scattered across various template files. It’s a handy feature that you rarely see in themes these days. What I love about Sage is that it allows you to find your mistakes as you go along. It will point out any bugs or issues with your code while you write it. It saves so much time and effort, as you don’t have to create loads of code, and run tests to check it. Bones is an excellent stared theme for any WordPress project. It’s developed around the current web standards and helps form the building blocks of your website. The theme places an emphasis on personal choice. As a designer, you’re given the freedom to keep what you want, and get rid of anything you don’t need. It gets its name because many refer to it as a bare bones theme. There’s so little to it; the creators wanted to make it as minimalistic as possible. They didn’t want designers to be overwhelmed by frameworks and other unnecessary things. It’s a top choice for WordPress newbies that know a thing or two about HTML/CSS. Bones is responsive and lets you build WordPress sites for multiple devices. In fact, it’s mobile-first, which is the ultimate way to create a responsive site. You start with the mobile version and work your way up to bigger designs. It includes a brilliant SASS setup to help you style your site with ease. SASS will cut your development time in half if used correctly. It’s seen as the future of CSS, so you better learn how to use it. Bones can help you out by providing a solid starting point and plenty of help. There’s also lots of customization in Bones too. From post types to dashboard functions, you get to choose how everything looks and works. UnderStrap is a unique entry because it uses another entry on this list! This theme combines Underscores with Bootstrap 4, hence the name UnderStrap. By combining the best elements from both these themes, it makes the perfect starter theme for designers. Everything comes together to form an idea open source foundation for any project you have in WordPress. UnderStrap makes great use of SASS, which helps you make quick and easy style changes to your site. It also includes Bower support, to help you manage all the things you depend on. To make this theme even more complete, it also uses Gulp as a task runner. When a theme combines two other great themes, you expect it to have some awesome features. And, UnderStrap certainly doesn’t disappoint. One of my favourites is the Options Panel that lets you add custom code to your site. Unlike many themes, you can do this from your WordPress customization panel. There’s no doubt that this is an excellent starter theme that’s great for giving designers a starting point. It’s easy to use and makes web design feel like a dream. It also comes with a nifty feature called Font Awesome. This gives you a brilliant font icon kit and a massive collection of fonts that are all free. This theme is also translation ready, meaning your site can be viewed in different languages. It’s excellent for designers that are creating international sites. When you download the theme, it comes with German and English language files, but more can be downloaded. The FoundationPress starter theme is built on Foundation 6. As you may know, this is one of the most advanced responsive frameworks in the world. The main goal with this theme is to help users create whatever design they fancy. It acts as a toolbox with all the items to help you build your vision. It’s free for everyone to use and is meant to be a starting point for your website. 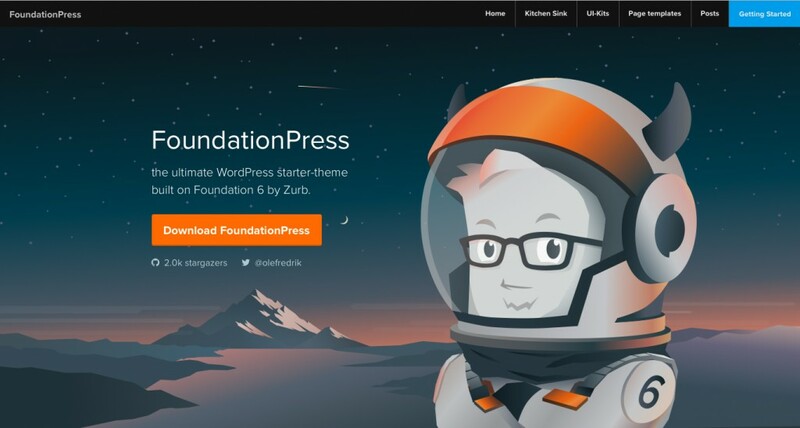 It’s a fantastic theme for people that have used Foundation 6 but have never built a website on WordPress before. However, it’s perhaps not ideal for someone that likes having freedom of choice. If you’re a designer that wants to create everything themselves, and fully customise your site, then I’d look elsewhere. But, if you’re after something to help you lay the foundations of a great site, then this is a brilliant option. Easily the best feature of FoundationPress is that it’s so responsive. From the first moment you use it, it will do everything you want it to. There’s no lag, and it’s perfect for all devices as well. It’s an actively maintained theme that comes with lots of support as well. There’s around the clock advice and guidance if you’re struggling with something. Plus, developers have business training, so they can help you grow your website with expert advice. This theme takes the term ‘blank slate’ to a whole new level. HTML5 Blank is easily the most minimalistic starter theme out there. It’s done away with any elements that the development team deemed unnecessary. The focus is purely on being simple and being fast. It comes preloaded with lots of cool features to improve your productivity. If you’re an accomplished CSS user, then this is the theme for you. You’ll have utter control over your designs and can get the most out of your coding. HTML5 Blank is an unbelievably fast starter theme. It lets you create sites in record time, and is full of loads of time-saving features. The whole aim is to get your site up and running in as quick a time as possible. It’s mightily impressive at doing just that. Perhaps one of its best features is the large user base. There are thousands of people using this theme, and they contribute to the cause. HTML5 Blank developers are always looking for feedback and advice. So, they listen to the users and try to make the theme even better. As a result, your user experience will be much improved the more you use this theme. 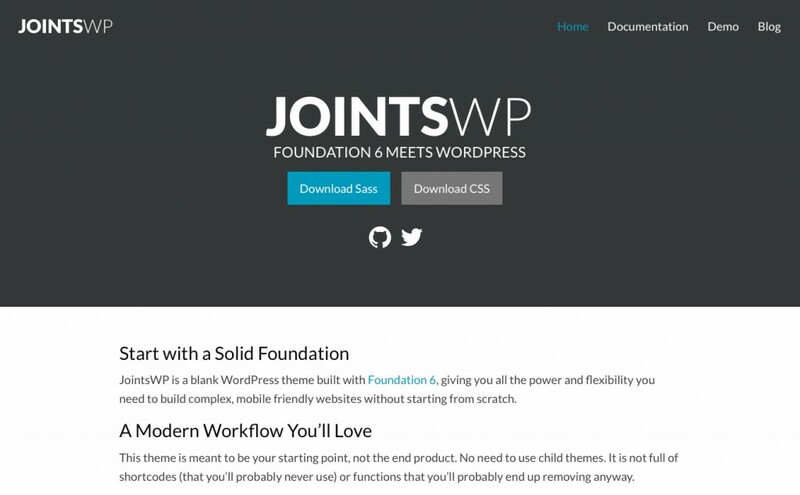 Just like FoundationPress, JointsWP is built using the Foundation 6 framework. And, although both themes have similar features, they do differ in a big way. It’s all to do with the design of JointsWP, compared to FoundationPress. I mentioned earlier how SASS is definitely the future. However, some people have trouble with it right now. If you struggle using SASS and don’t have the time to learn it, then this theme can be downloaded without it. Instead, you’ll get your typical CSS. This theme is specifically designed to be a starting point for designers. The developers will explicitly tell you that this isn’t meant to be your end product. JointsWP has a modern workflow that its users adore. There are no child themes or shortcodes that you’ll probably never use. It gets rid of things that you simply don’t need. And, it includes a Gulp setup to help you get the job done quicker. As mentioned earlier, it gives users the option to use SASS or CSS. And, the fact it has SASS is a huge feature. Designers can get the most out of SASS, and take advantage of its power. 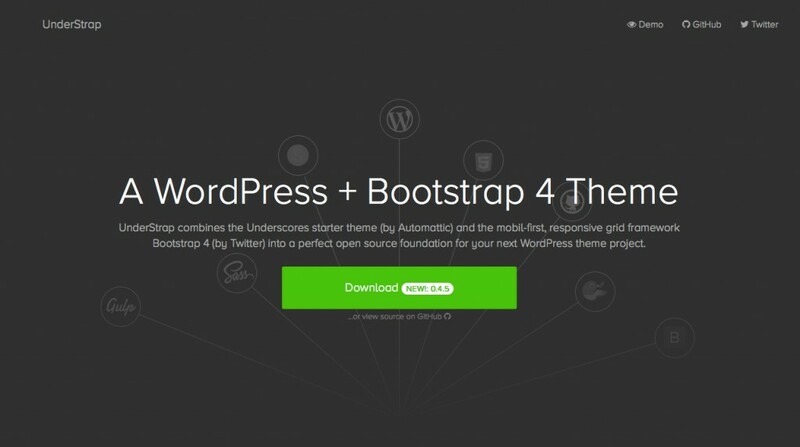 This helps you create a WordPress website that’s built for the future. Finally, JointsWP supports responsive web design. It’s flexible, and will allow you to build mobile-friendly sites. 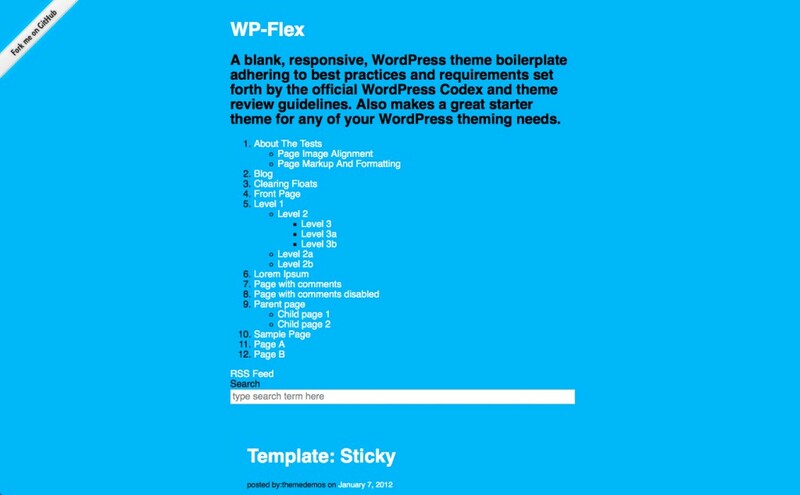 WP-Flex is a blank theme that’s perfect for WordPress. It was developed around the WordPress Codex and theme review guidelines. This ensures that it adheres to all the best practices that are set out. As a result, it’s a wonderful starter for a designer using WordPress to create a site. It’s been tested and complies with all major browser vendors as well. I think WP-Flex is a great starting point for designers of all abilities that are new to WordPress. It helps you learn the ropes, and your knowledge will grow. The fact that it uses the WordPress Codex is a huge benefit for designers. 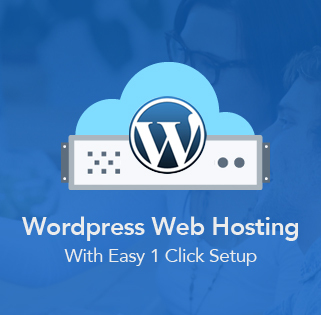 It makes sure that your site will be perfectly designed for WordPress. Everything will be optimised and fit the site correctly. All of the images will be enhanced to ensure they’re the best quality possible as well. WP-Flex, like a lot of starter themes, is highly responsive. It supplies you with the tools to create a killer WordPress site for mobile devices. In a world where more and more people are viewing sites on their phones, this is very important. If you can create a mobile-friendly site, then you’ll be in a far better position. This theme is very lightweight, which makes it easy to use. You’re not bombarded with pointless features that are purely for show. It allows designers to get on with their projects, and avoid being derailed by other things. Any of these eight themes will be a great choice. There’s no real winner here, it all boils down to personal preference. Have a look at each of these themes and see which one you’re most comfortable with. This will depend on your design experience and your WordPress expertise. It’s important that you get your choice right, as it can impact your performance. You want a theme that helps you be as productive as possible, and design sites quickly.